We have been covering our most wanted characters for Dissidia Final Fantasy Arcade, a brand new entry in the Dissidia series featuring a 3 on 3 battle system currently on arcades and rumored for a PlayStation 4 announcement some time soon. Our first and second set of picks (which you can find here and here ) were evaluated by our staff using a variety of factors, including character popularity, title popularity, unique move sets, and roster diversity. However, for the last part of this series, we decided to ask you, the Nova Crystallis reader what characters you would like to see in Dissidia. The top choices are presented below. Vincent from Final Fantasy VII won the top spot in our reader’s choice poll. The optional character in Final Fantasy VII grew in fame and prominence due to his relevance to the overall story’s lore, his vampire like character design, and serious personality. So popular was Vincent that he even got his own title in the Compilation of Final Fantasy VII, a hero in one of the few third person shooter’s that Square Enix has attempted (a game I’d personally like to see another attempt at, even as a port). Like our pick of Balthier, the enigmatic Vincent would add an additional gun user to the Dissidia roster. However, unlike our choice, Vincent would bring an even more interesting battle element to the series, his limit break ability to transform into various powerful beasts. From the Galiant Beast to the Death Gigas, Chaos, and beyond, Vincent’s different transformations could add some much needed versatility and a frenzy based play-style to the character. Celes would serve as an excellent compliment (and foil) to Final Fantasy VI’s Terra and would be a welcome additional female hero to the cast. Her independent personality could add some much needed humor and charm to cut scenes. 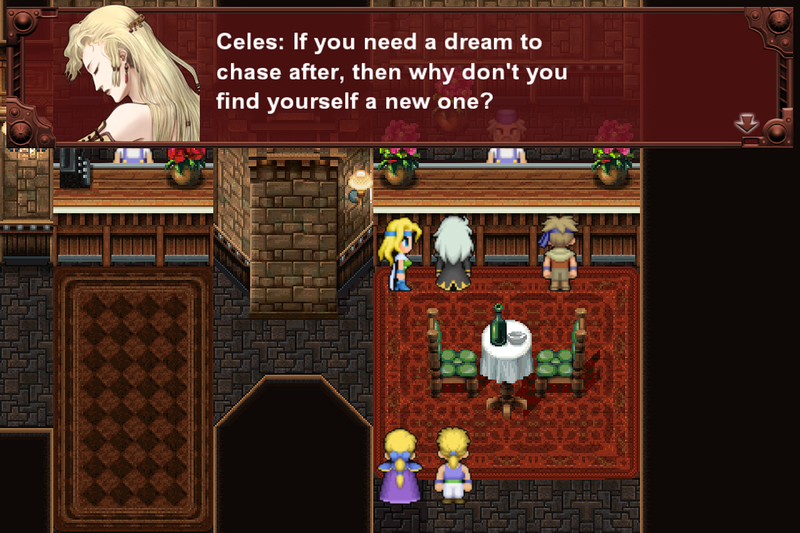 As a Magitek, or Rune Knight, Celes would bring a new job not represented in Dissidia. A move such as Runic could add some interesting defensive mechanics to the game, allowing Celes to block or repel magical attacks, while her variety of weapons, including maces and daggers, could give her some versatile offensive abilities. A polarizing villain in the Final Fantasy series, Caius took the number three spot in our character poll. Caius, best known for his time traveling capabilities and foil to sisters Serah and later Lightning. His popularity likely stems from the character’s complexity as a tragic villain – forced to perform his duty as a Pulse fal’cie. 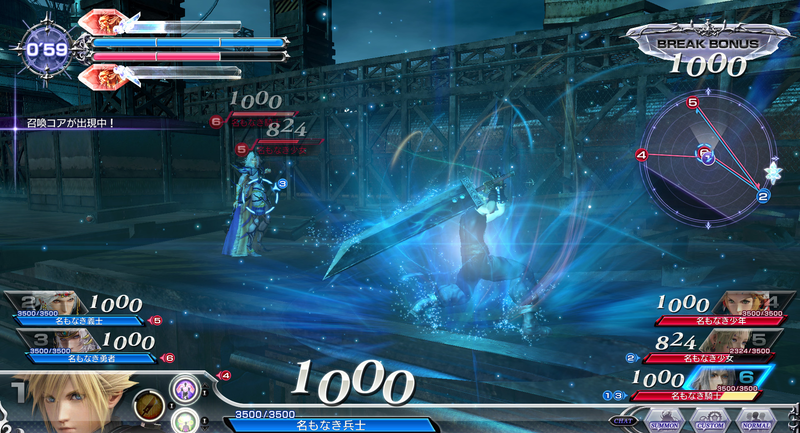 More interesting than the character himself, would be his play-style, incorporating Caius’ ability to teleport with short range sword combos and long range magic. 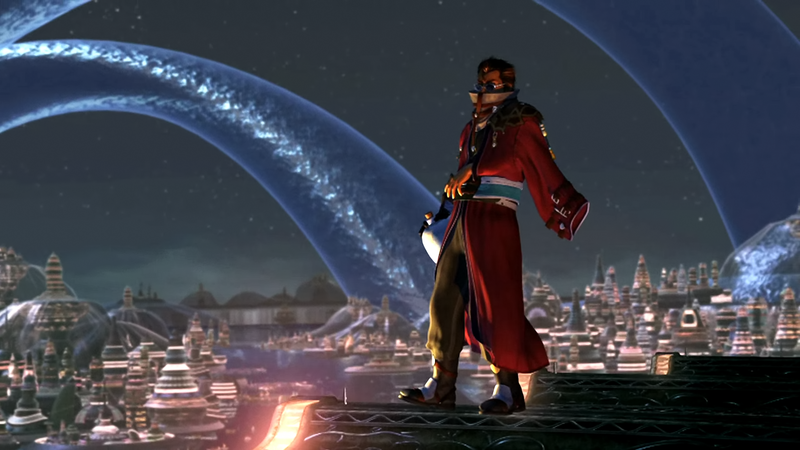 Auron has been a favorite in the Final Fantasy fandom since his introduction in 2001. The stern and experienced warrior who serves as a mentor to the protagonist Tidus, already a prominent character in the series, is known for being one of the more overpowered heroes in the Final Fantasy X universe. Interestingly, Auron has a lot of de-buffing moves, such as armor break, which decrease the defense of various types of enemies. This could prove to be an interesting mechanic to introduce within Dissidia, the ability to break an enemies defenses in order to deal a more substantial amount of damage. Furthermore, Auron’s limit breaks, which involve the combinations of button presses, can easily be incorporated into Dissidia. Runner-Ups: Seifer (Final Fantasy VIII), Ardyn (Final Fantasy XV), Faris (Final Fantasy V). With that, our Dissidia character series is complete. Square Enix has been announcing characters periodically through 2016 and plans to continue to do so through 2017 as well. The hope is that a mostly fully fleshed out roster is established before the eventual console versions arrive internationally. Dissidia Final Fantasy Arcade is currently available exclusively on Arcades in Japan with a rumored console release announcement some time in 2017. Posted in Dissidia Final Fantasy, Editorials, Features. Wow, all of these are really great picks! The runner ups as well, I wouldn’t mind any of them. Only character I truly want in this game is Angeal Hewley. How is Ardyn on here and not Noctis?! Unreal people. Caius! Caius, Ardyn and Kuja allll thee waaay! Ahhh, Good to know. Thanks! Celes did not have an “independent personality”, she was too dependent on Locke as she herself said!